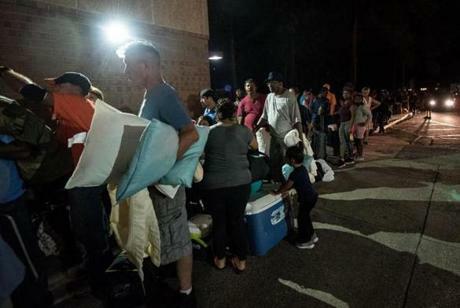 As Hurricane Florence barrels toward the eastern coast of the U.S., over 1 million people are preparing to (or already have) evacuated their homes, fleeing to surrounding states. If projections are correct, Florence will have catastrophic impacts, with historic rainfall, flash flooding, widespread power outages, and a storm surge reached up to 13 feet. 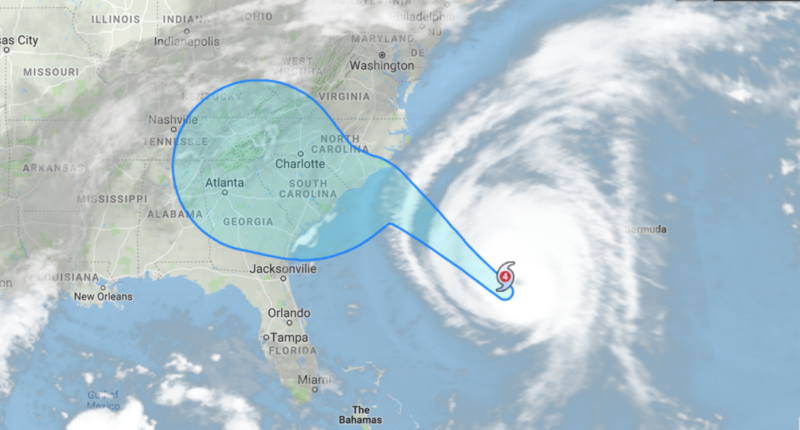 Hurricane Florence By Google Crisis Response. I’m reminded of this time last year when my husband, Michael, and I had made a trip down to Indiantown, Florida. We were beyond excited since we were going to prepare the 35′ sailboat (named “Hope”) that would soon become our next home. But what was supposed to be a fun-filled trip to prepare the boat for shipping turned into a frantic emergency as we learned that Hurricane Irma—considered “one of the strongest and costliest hurricanes on record in the Atlantic basin” with maximum sustained winds of 185 MPH—was slated (at the time) for a direct hit in the area, sending everyone into a frenzied panic. I remember us making the difficult choice to evacuate the area and leaving behind our lovely, new home. As we drove north, however, we found solace thinking about the kindness and incredible generosity of people we met as we rushed to fortify our boat. Marina employees and fellow boat owners offered advice, tools, words of solidarity, and pitched in to help ensure everyone would fare as best as possible under difficult circumstances. Perhaps you live relatively close to the area predicted to bear the most impact by a natural disaster, or perhaps you’re several states (or countries) away. WONDERING HOW YOU CAN HELP THOSE AFFECTED BY A NATURAL DISASTER? We’ve listed different ways you can contribute to relief efforts below. Volunteer or donate to programs, such as those by The National Voluntary Organizations Active in Disaster (NVOAD), a coalition of 50+ national organizations that help communities impacted by disasters. To find a local program, check out their list of state/territory members. Americares provides emergency medicine, supplies and other humanitarian aid for people affected by poverty or disaster. Wings of Rescue, a volunteer-run organization, provides air transport for thousands of pets from overcrowded high intake shelters and also evacuates animals before a disaster hits. The American Red Cross offers ways to donate money (even making it easy to donate by text! ), volunteer, and give blood. Another way to donate is to search for Go Fund Me campaigns contributing to relief efforts for disaster victims. Before donating to a charity, however, make sure to do your own research beforehand and check out Charity Navigator to learn more about how particular charities use their donations or discover a new charity by reading their Top Ten Lists. That said, it is completely appropriate to ask the charities and nonprofits you donate to how the funds will be used. In some cases, you can also earmark your funds for specific causes (i.e. disaster relief) so you know they won’t go to the charity director’s half-million-dollar salary. If you live near impacted areas, consider volunteering at an emergency shelter or donating needed supplies or services, such as helping with childcare or fostering displaced pets. Check your local news sources about additional volunteer needs too and consider reaching out to other communities, such as nursing homes, that could use extra help. Airbnb launched a portal so hosts can open their homes for free to relief workers and those displaced by natural disaster. Volunteer your skills to raise awareness about communities impacted by natural disasters, whether it’s through social media or contacting community leaders to support relief efforts. Additionally, you can coordinate or volunteer for a fundraising event that supports relief efforts. 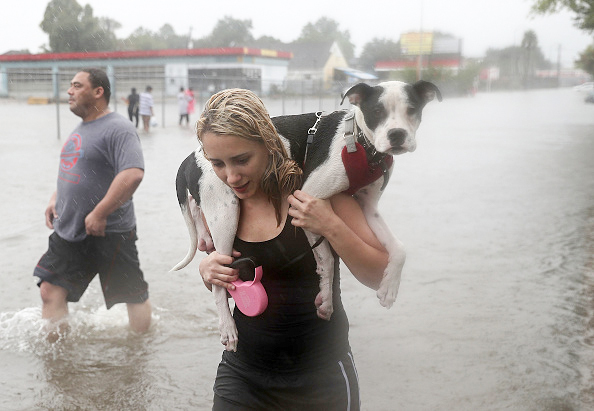 In the wake of Hurricane Harvey, Matthew Marchetti created CrowdSource Rescue, a platform designed to connect disaster victims with volunteers who are ready and able to help. 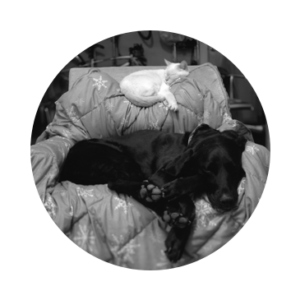 Read the inspiring story behind the creation of CrowdSource Rescue and check their site about rescue needs. If someone you know affected by Hurricane Florence should need medical treatment for a common health condition, Doctor on Demand is a tele-medicine service offering free visits (via video chat) to anyone affected by Hurricane Florence, using the code FLORENCE2018. We hope everyone stays safe out there as Hurricane Florence approaches and we send gratitude to relief workers and everyday citizens who step up to help their communities, especially during disasters.